This is a little side salad recipe that I have been hunting for since I went to a small Mediterranean shop near my college. It is fresh, light, healthy, and incredibly easy to make! This pairs well with a chicken dish, and if you want to use it authentically, put it in a grilled chicken pita. My fiance and I both loved it and paired it with tzatziki sauce (Sabra brand). Bring this to your next barbecue and it is sure to be a hit! 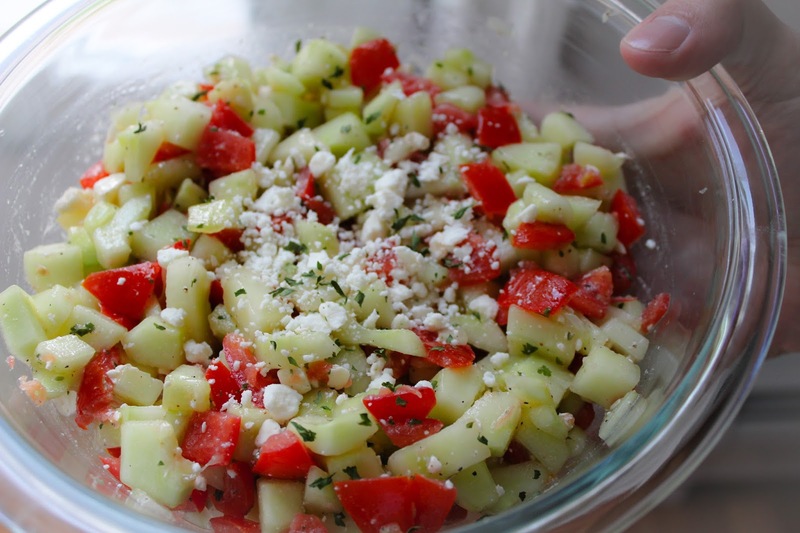 Mix all ingredients together and serve with your favorite dish or as a side salad with warm pita and tzatziki sauce. Enjoy!